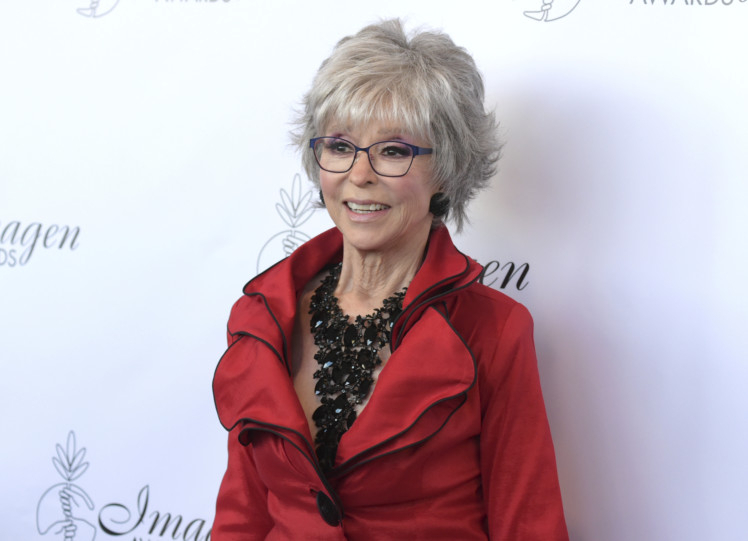 The 86-year-old American actress Rita Moreno, who won an Oscar in the original film version of ‘West Side Story,’ is being cast in Steven Spielberg’s hotly anticipated remake. Her publicist announced that Moreno, who played Anita the first time around, will this time play the role of Valentina — a reconceived version of a corner store owner. She will also get an executive producing credit. Back in May, the Puerto Rican-born actress confessed that she was anxiously awaiting the Spielberg remake, which has advertised for Latino actors in all the main roles — not the case for the 1961 original. “I am very curious to see what he does with it. I am nervous about it. Listen, we did very cliched things in ‘West Side Story’ but I am sure he’s going to avoid that because times have changed,” she told AFP. “From our earliest discussions, we wanted to include Rita Moreno in our production,” said Spielberg in a statement sent by Moreno’s publicist. “Her Anita is one of the greatest musical performances ever filmed, and a personal favourite of mine,” he added. The original film of Leonard Bernstein’s musical — Shakespeare’s ‘Romeo and Juliet’ reimagined in the world of warring New York gangs — won 10 Oscars and captivated a generation on the cusp of huge societal change. In the original movie, the Puerto Rican character Maria was played by the late Natalie Wood, and Bernardo by George Chakiris, the son of Greek immigrants. ‘West Side Story’ pits warring gangs, the Sharks and the Jets, against each other in Manhattan’s Lincoln Square on the Upper West Side. Today, the neighbourhood is most famous as the site of the Lincoln Center, America’s premier performing arts venue where the Metropolitan Opera House opened in 1966 and where apartments today can fetch millions of dollars.